ARC mooring. Photo by D. MacIntyre, NOAA. The Agulhas Return Current is located off the southeast coast of Africa. 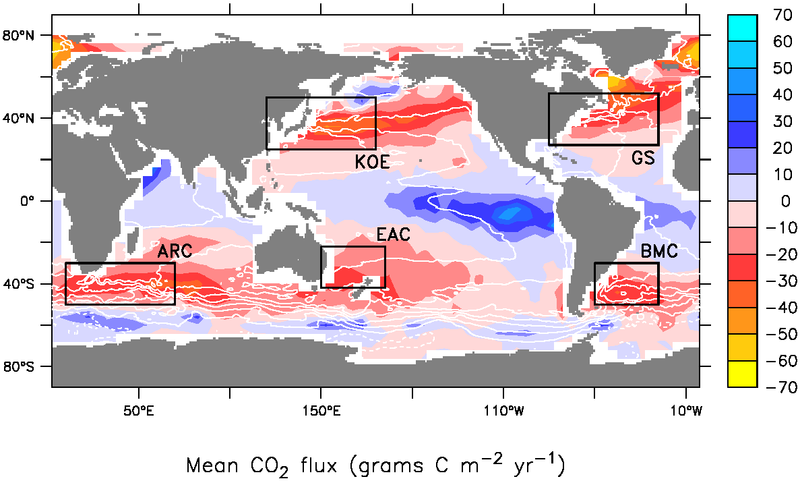 In this region, the ocean can have significant impacts on the atmosphere. It is a "hot spot," where the ocean releases heat to the atmosphere and absorbs carbon dioxide. The interactions between the air and the sea in this area are the largest found in the Southern Hemisphere. The warm Agulhas Current travels southward along the east coast of Africa to the bottom of the continent. 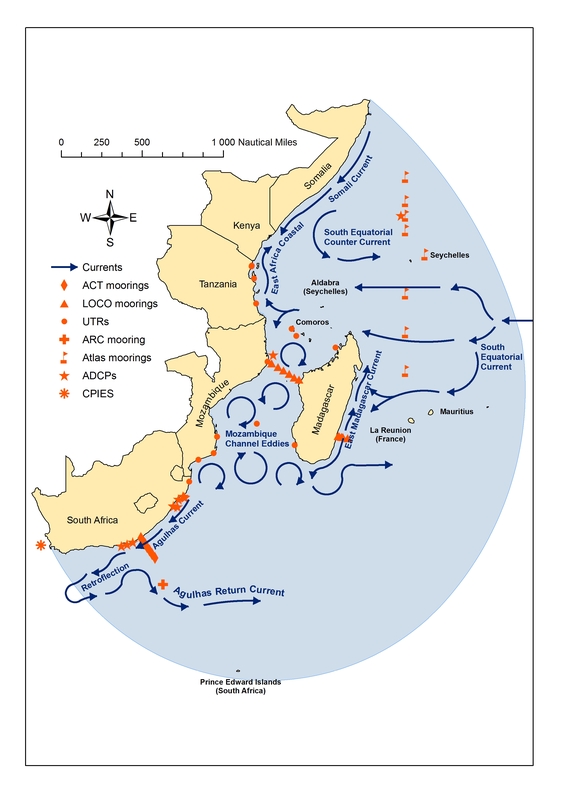 There, the Agulhas Current flows off the continental margin and turns east to become the Agulhas Return Current (ARC). Large heat transfers in the region occur primarily during storms, when cold Antarctic air blows over the warm Agulhas system currents. To compliment other research projects in the area, the deployment location chosen for the first ARC mooring at 38.5°S, 30°E was on the boundary of the Agulhas and Somali Current Large Marine Ecosystems Project (ASCLME) observing system. It was also located just south of the Agulhas Current Time-Series (ACT) array, and east of the South Atlantic branch of the Meridional Overturning Circulation (SAMOC) experiment. Funding support was provided by NOAA and the National Science Foundation. Ship time aboard the FRS ALGOA was provided by the ASCLME project. The deployment of the OCS ARC mooring occurred on November 30, 2010. Due to higher than anticipated deep currents, the mooring broke free from its anchor on January 16, 2011. It moved quickly eastward as it drifted in the Agulhas Return Current. When it was recovered by the French research ship MARION DUFRESNE on March 9, 2011, the buoy was over 1,000NM away from the deployment location. It has not been redeployed. 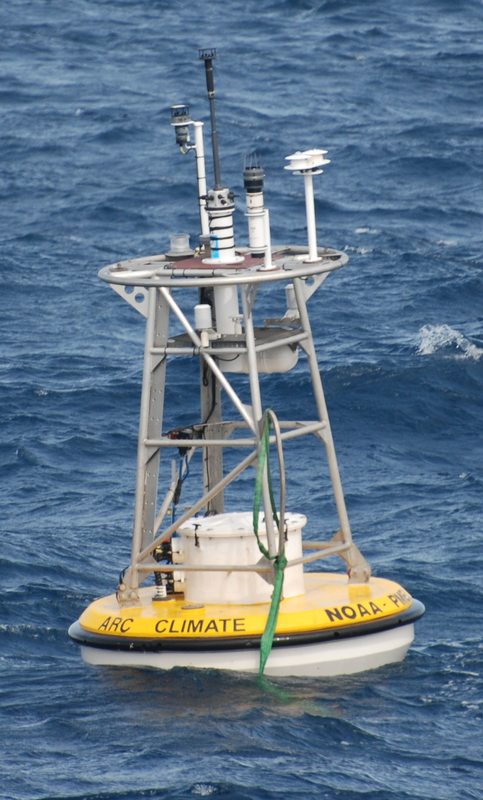 Watch this short video to learn more about NOAA's first buoy deployed south of Africa for monitoring climate. 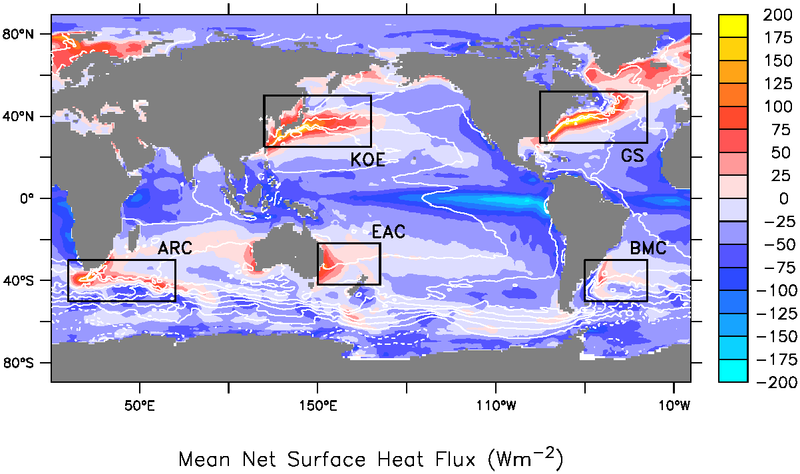 "Hot Spots" where the ocean releases heat to the atmosphere an absorbs CO2. 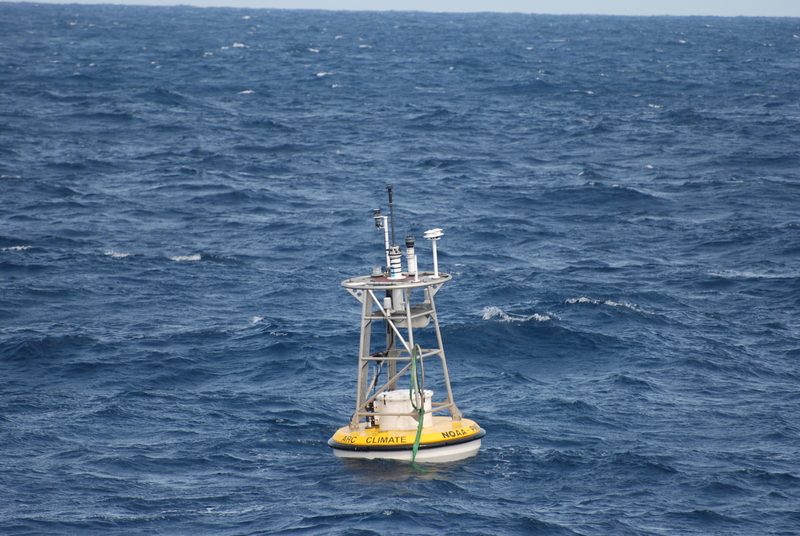 NOAA ARC Mooring deployed November 2010.